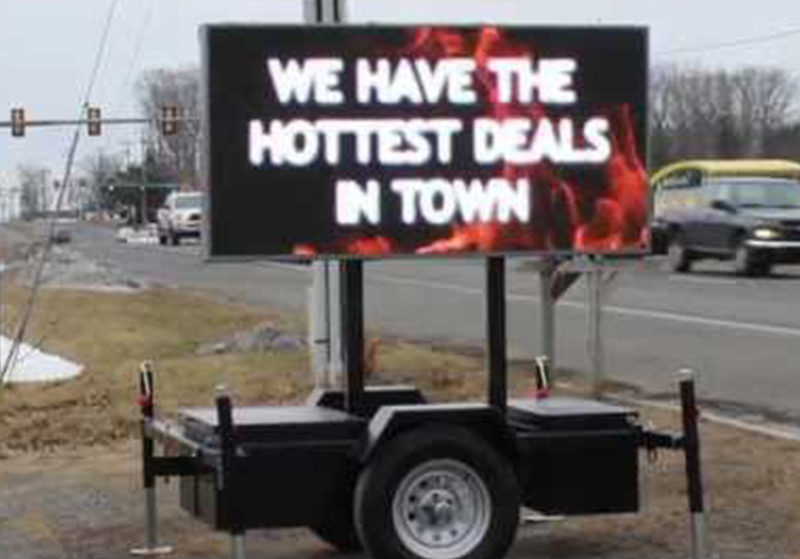 Outdoor Media: Ads For The Road, Largest Digital Billboard Fleet! 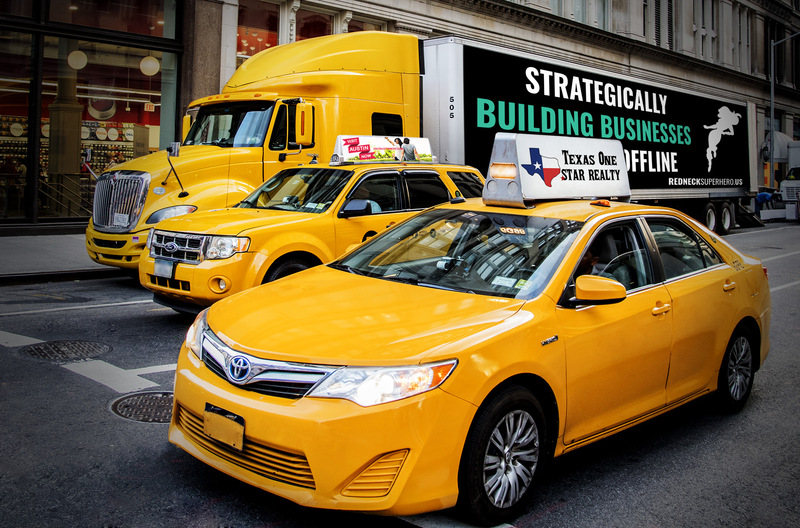 Ads For The Road provides dynamic and eye-catching outdoor advertising across Austin! By providing a multi-level outdoor media platform, Ads For The Road reaches your target audience more effectively. 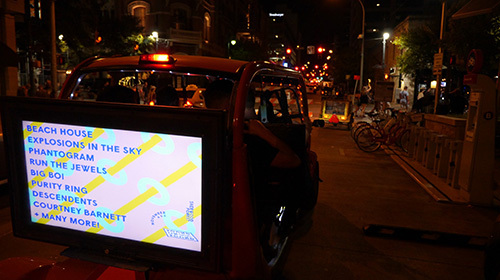 Deliver your content with smart billboards, smart passenger displays, and traditional vehicle graphics on taxi, pedicab and electric cab vehicles in high density areas. Smart Billboards are high-impact digital displays that adjust the advertisement based on the time of day and current vehicle location. This targeting ability allows you to customize your campaign to reach each segment of your audience. Smart Passenger Displays are digital screens mounted inside the vehicle directly in front of the passenger. These displays place videos, games, apps, and more in front of a captive audience. The Digital Billboard advertising leverages technology to display your message when and where you want, making your marketing dollar more effective. Make your advertisement move your target audience with eCab outdoor advertising. Smart billboards, smart passenger displays, and advertising wraps provide the high-impact visibility your campaign needs. 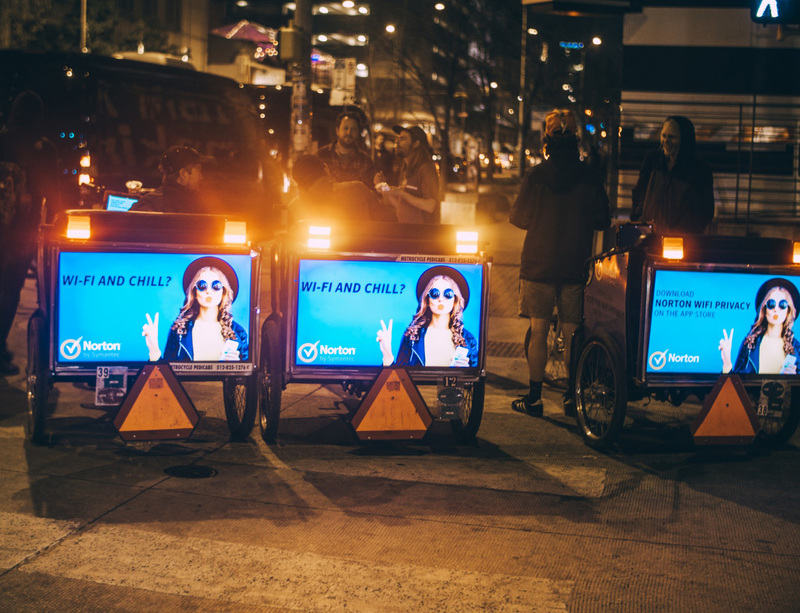 Pedicab advertising will move your message to places that other ads can only dream of going. Smart billboards, smart passenger displays, and advertising wraps are available. These ads sell quickly, so contact us today!